Last month, the throwback musical La La Land premiered to rave reviews at the Venice Film Festival, before earning more praise in Telluride and Toronto. Most moviegoers will have to wait until December to find out if the film lives up to its instantly rapturous reception. But the glowing notices shouldn’t come as some big surprise. After all, writer-director Damien Chazelle established his chops with his last film, the ferocious music-school psychodrama Whiplash, which earned great reviews, a couple Oscars, and the all-coveted A.V. Club stamp of approval. Now that was a triumph that came out of nowhere. Actually, not exactly. Even excepting Chazelle’s modestly charming first feature Guy And Madeline On A Park Bench, there was an another sign that Whiplash was going to be something special: the 2013 short film from which it was expanded. Like a lot of shorts that later become features, the 18-minute “Whiplash” plays a bit like a proof of concept—one dynamic scene, yanked out of context, like an exciting preview of what to expect from the full-length version. It was all there from the start, just in miniature form. But how close are the two versions? As an exercise in comparison, filmmaker Jacob T. Swinney has taken the short film and its corresponding scene from the feature—the first rehearsal, wherein Andrew discovers just how grueling his life is about to become—and cut the two together into one fairly seamless sequence. What this demonstrates most of all is how precise Chazelle was in his staging and dialogue; while not quite shot for shot or line for line, the feature version follows the blueprint of the short very closely, to the point where it’s clear that the filmmaker got what he wanted the first time around and more or less replicated it on the second. 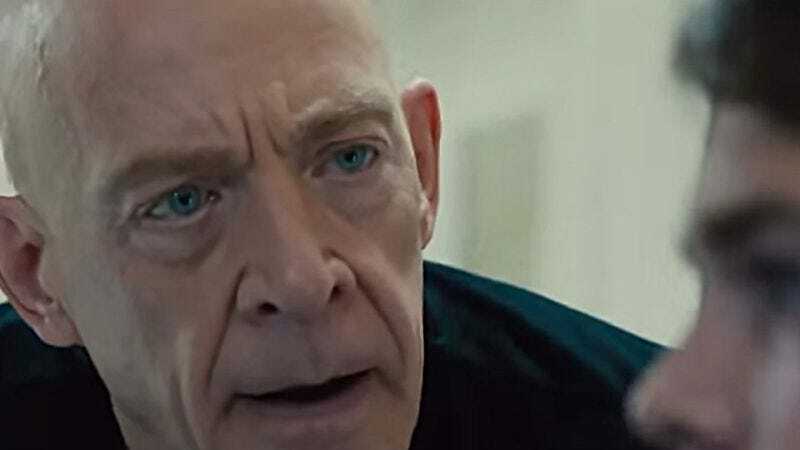 That extends to much of the supporting cast, and to J.K. Simmons’ terrifying performance, which hits many of the same beats (sorry) in both versions. Beyond the slicker look (that moody, menacing orange glow), the only other major difference between Whiplash and “Whiplash” is the man behind the drum kit. The short stars Johnny Simmons (no relation to his co-star), and with apologies to the Scott Pilgrim alum, Chazelle did make one significant improvement when he expanded the story to feature length: He cast Miles Teller instead. Seeing the two versions side by side only underlines the good sense of that decision.